Here is an illustration of where such research is done. The New York University’s Division of Alcoholism and Drug Abuse has been a leading national center for research on addiction treatment, with a primary focus on Twelve Step recovery, since 1987. Marc Galanter, M.D. who founded the Division is the Team Leader for the research, working with partners at NYU and nationally. He is a Professor of Psychiatry, Senior Editor of the journal “Substance Abuse;” Co-Editor of the American Psychiatric Association’s “Textbook of Substance Abuse Treatment,” and wrote the book “Spirituality and the Healthy Mind,” and over 200 peer reviewed journal articles. In doing this research he collaborates with researchers at institutions nationwide, including Columbia and Yale Universities, the Medical Universities of South Carolina, and the National Institute on Drug Abuse. Regarding Recovery: He chairs the Twelve-Step Recovery Committees of both the American Society of Addiction Medicine and the American Academy of Addiction Psychiatry, with some 20 members across the country. In his capacity as Director of Substance Abuse Services at Bellevue Hospital, he instituted daily Twelve-Step meetings for patients in the Hospital. He has also been listed nationally, as a “Best Doctor” in Addiction Psychiatry for the last 12 years, and regularly engages his addicted patients in Twelve-Step recovery. He has served as President of, the American Academy of Addiction Psychiatry, and the American Society of Addiction Medicine, and works with colleague currently in both organizations to promote Twelve Step research and training. 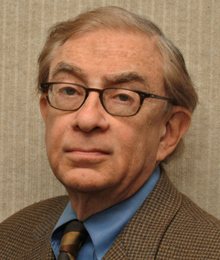 Among his awards from the American Psychiatric Association are the Gold Achievement Award for Innovation in Clinical Care, the Seymour Vestermark Award for Psychiatric Education, and the Oskar Pfister Award for Spirituality, Religion, and Psychiatry; New York State’s Award for Psychiatric Research; and the Smithers Research Award from ASAM.